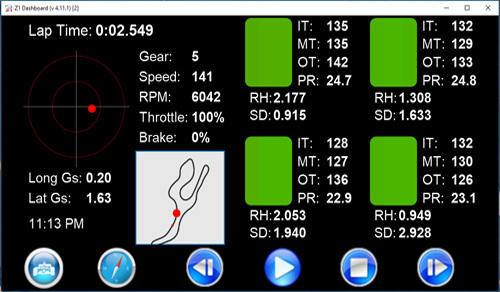 Z1: The Dashboard & Telemetry Analysis Suite For Every Sim Racer! 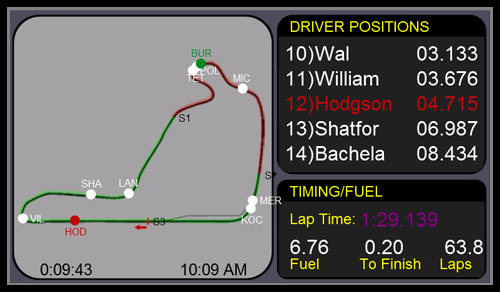 The Z1 Dashboard is used in simulators by many companies including Porsche. 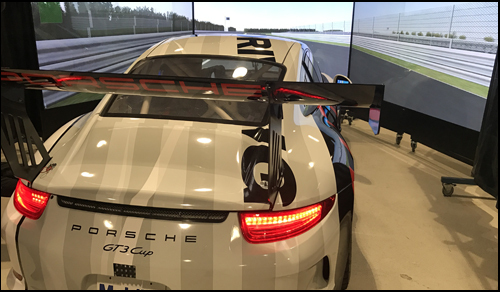 Their 911 GT3 Cup Car simulator uses the Z1 Dashboard software running with rFactor 2. With over 100 dashboards the Z1 has you covered. Dashboard Switching lets you cycle through multiple dashboards at the click of a button. 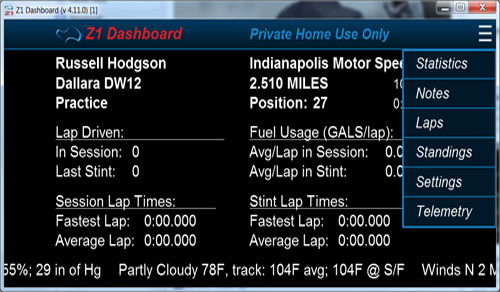 Need to know when to pit, how much fuel you need, where your competitors are, what your lap times are, just click to the appropriate dashboard. 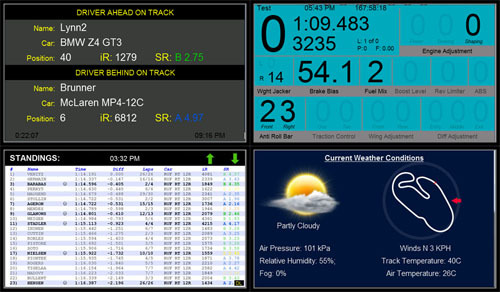 If you want to view telemetry while in the car the Z1 has 4 dashboards available for you! Ranging from tires to g-forces and driver inputs to various traces, the Z1 has you covered. And the Z1 Analyzer is waiting for you with more in-depth analysis! When you step out of the car you still need to know how the session went. 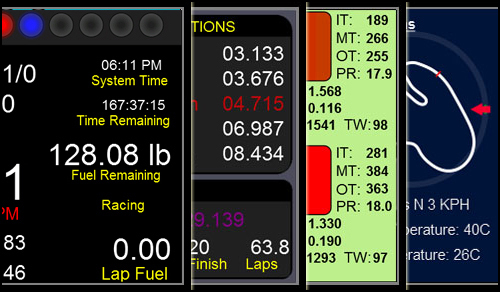 The various garage screen give you information on lap times, fuel usage, competitors, sector times, replays, and even allows you to take notes. The Z1 Analyzer application is aimed at improving the most important part of the car - you the driver! 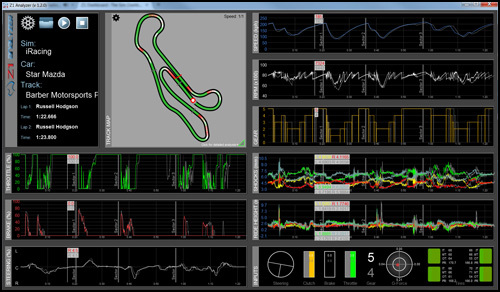 With its easy to read analysis screens ranging from a track walk to individual turns analysis, the Z1 Analyzer helps you improve without requiring a PhD in physics to understand loads of graphs. 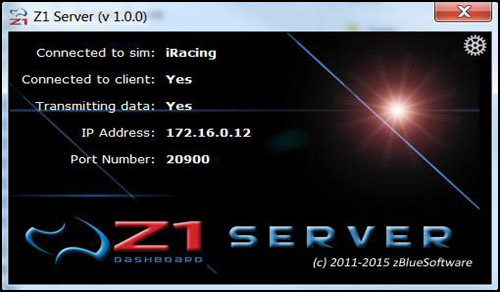 The Z1 Server application allows you to broadcast your sim's data to any computer on your network. The Z1 Dashboard can then read that data, so you can now run the Z1 Dashboard on any computer on your network. 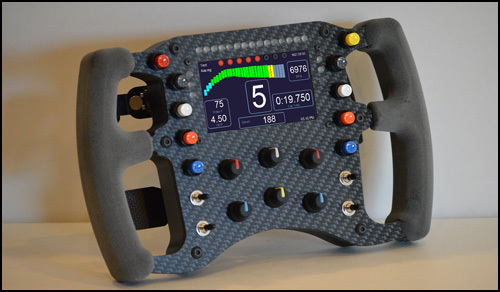 If you want an F1, F2 or GT style wheel for your sim racing rig, then the SMZ1 is the wheel for you! Need a screen to run the software on? Want to reduce CPU usage? 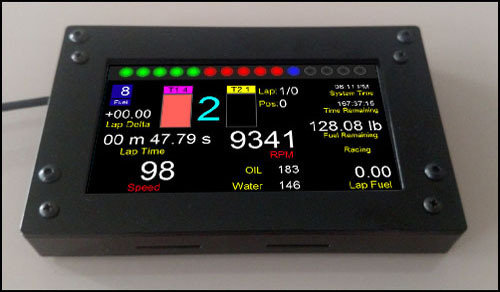 The Z1 LCD Screen box is the perfect solution. The software is designed with this box in mind, matching its 480 x 272 pixel resolution with a touch panel for maximum results.